Hi Everyone! This year it happens to be the Year of the Dragon! It’s my favourite year because it’s MY Chinese Zodiac!! You could pretty much guess my approximate age from that disclosure now… tee-hee.. I remember last time it was the Dragon Year it was the Millennium Year, Y2K. I thought to myself, “Gee! The next Dragon Year will be 2012! Sounds like eternity!” I was just getting used to being in a new millennium, so being in a new decade in a new millennium was a little hard to picture. But here we are again! Anyway, on the year I was born, my birthday was 5 days before the reign of the dragon ended. So in Chinese, I’m what they call “龙尾蛇头”, meaning, “Tail of the Dragon, Head of the Snake” because I was almost born into the Year of the snake. Therefore in our regular calendar, I am a year younger than most dragon babies! I know this sounds a little confusing. haha.. I gave my little guy some paws too! 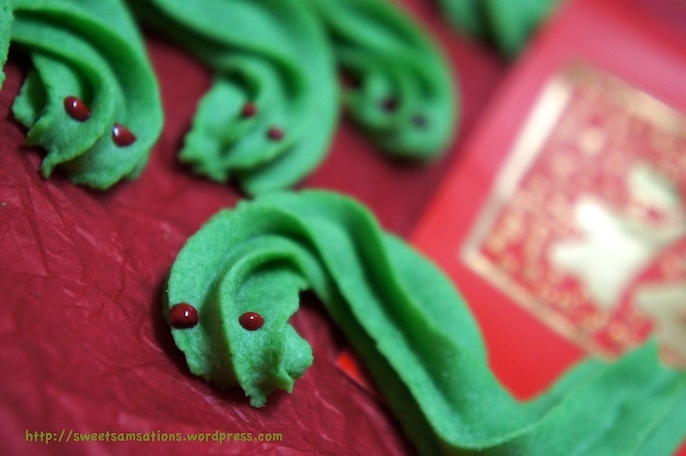 I decided to make some dragon cookies! 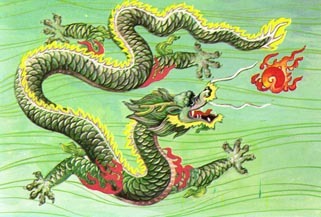 Chinese dragons are usually green or gold but I’ve always pictured my dragons green! I attribute this factor as to why dragon tattoos are so popular. You don’t see tiger tattoos as commonly as dragon tattoos though both are fearsome creatures! Speaking of which, I’m reading that Bestseller The Girl with the Dragon Tattoo right now. Loved the Swedish version of the movie and loving the book so far!! Preheat oven to 350°F. Line baking pan with parchment paper. I used my silicon baking mat. Sift flour and corn starch in a medium bowl. 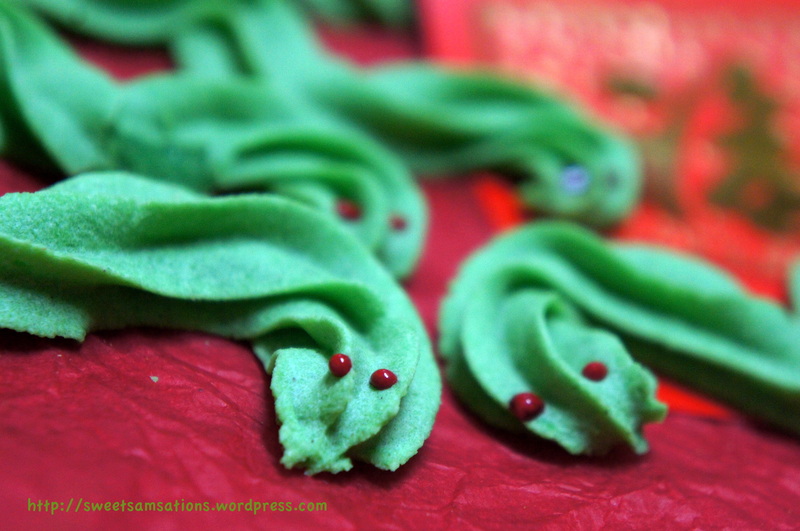 Cream soft butter, sugar, eggs, pandan essence / green colouring and vanilla together until smooth but do not over beat. Beat flour mixture in on low speed just until combined. Spoon batter into pastry bag fitted with a star tip (I used Wilton 1M) and squeeze batter out into S-shapes on baking pan. Pipe claws for the dragons too if you wish! 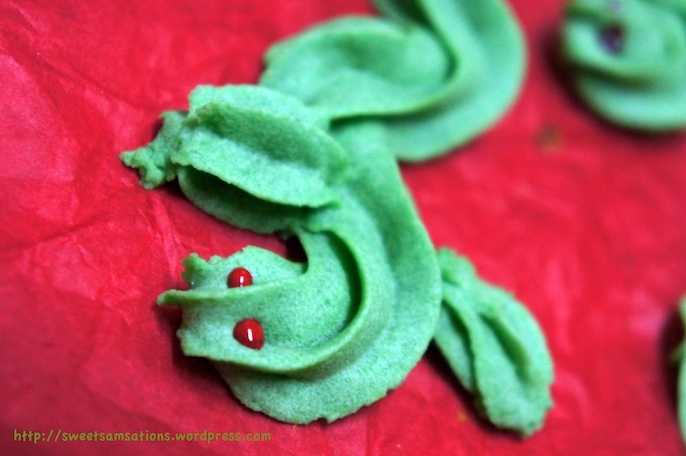 Dab two eyes onto the dragons using some red icing with a small ziploc or plastic bag. Bake for about 10 minutes at 350°F. Make sure that the cookies don’t burn and are still slightly soft when you remove them from the oven. Leave to cool on wire racks. The cookies should last up to two weeks in an air tight container. 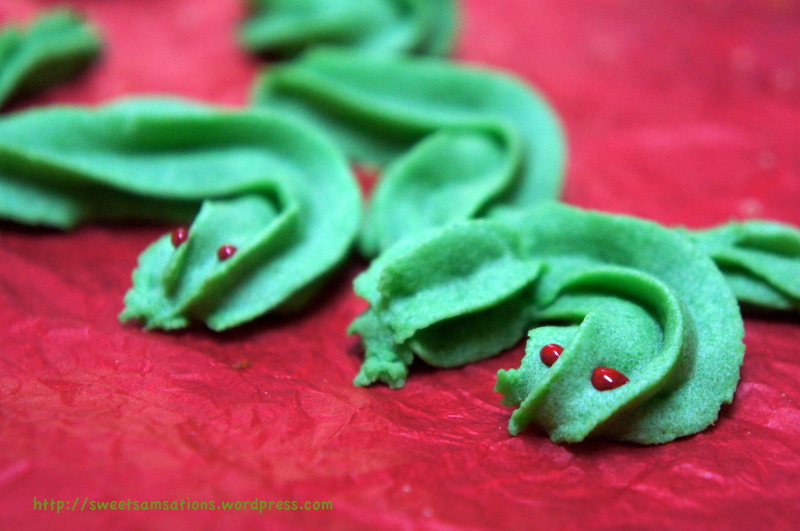 Could probably recycle this recipe for "Snake Cookies" next year! I decided to omit the milk powder as I did not have it with me and I was worried that the dough would be too dry. But the cookies turned out pretty good!! I placed them in the middle rack. Piping the dragons were so fuuuun! Anyway, back to lots of baking!! I’ve even got some orders for New Year! Oh these are cute – so festive. How creative and simple to do, although they look rather cute not fearsome. 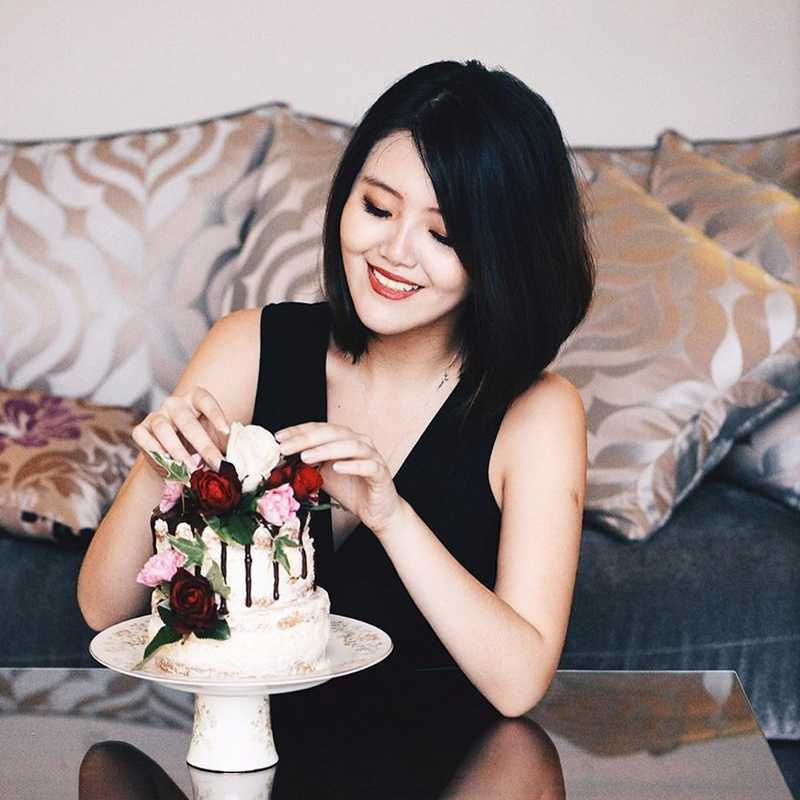 Fun post and nice to learn about your culture too. hahaha.. Yeah! I guess not too fearsome! Thanks Suzanne! Those are interesting looking BB cookies! How did they taste?